Musicians and chefs often use the same language of taste and texture to describe their art. A chef composes a dish with ingredients like musical notes that are loud and soft, sharp and bright, deep and resonating, or sweet and light, which wind through a meal like a leitmotif. 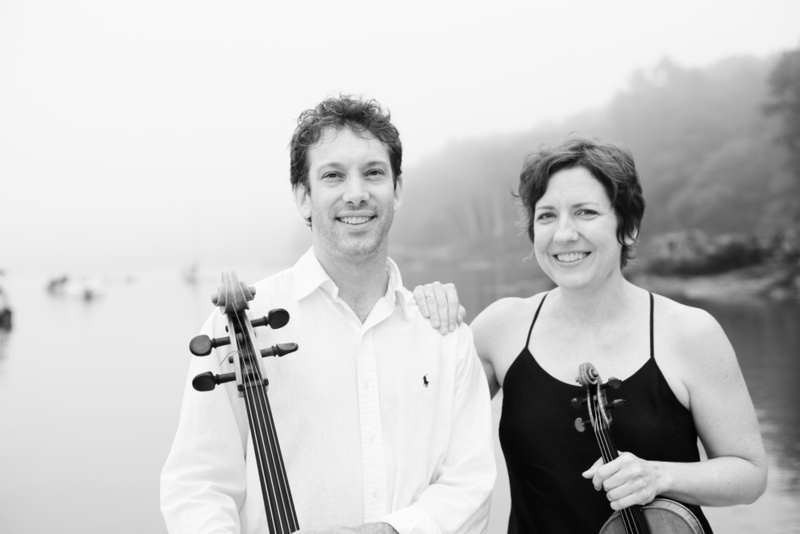 Musicians are aware of colors, textures, smells, and even the feelings that emerge from the sound of music. All of this goes into planning a menu with a concert. The end result of combining these two mediums is a magical and unforgettable immersive experience. Join us as our favorite Maine chef, Chef Ali Waks Adams the Executive Chef of the Brunswick Inn and Chef Partner of Butter & Salt Pop-Up, teams with the founders of Portland based 240 Strings and the Abitare Project, acclaimed violinist Tracey Jasas-Hardel and Cellist Benjamin Noyes, for a night of classically inspired dishes and music. 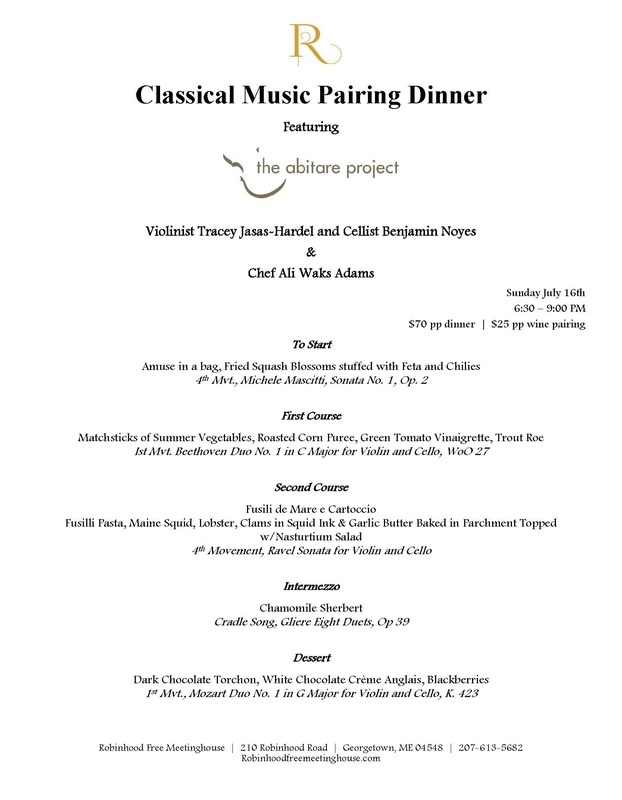 The presentation of each course will be accompanied by a companion piece of music performed live by the Abitare Project. The menu and music are included for your review. The dinner is $70 per person and a $25 wine pairing is available. Tax is included in the price.